Outdoors 720: Bigfoot sighting in Canada: Is it real or a hoax? Bigfoot sighting in Canada: Is it real or a hoax? 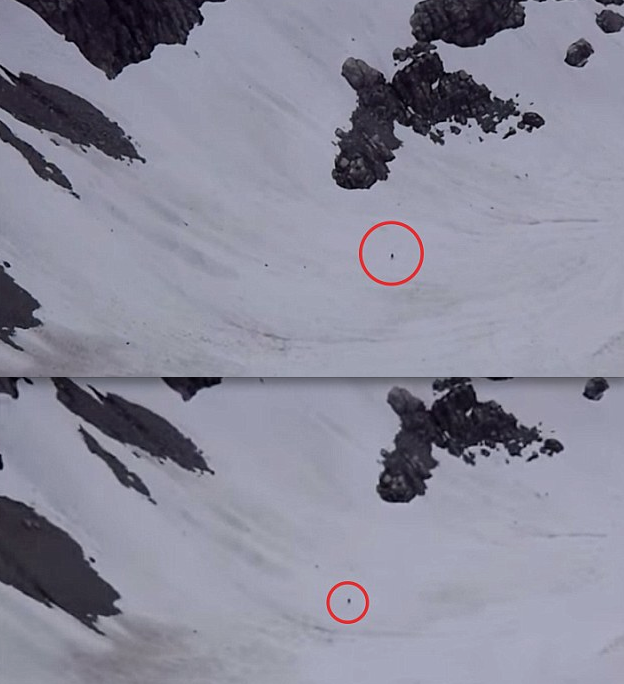 bigfoot or just a black dot superimposed on a video as a hoax? Myles Lamont was hiking with friends in the Tantalus Range near Squamish, British Columbia, when he spotted a lone figure trudging through the snow walking upright in the middle of nowhere. Appearing only as a black dot on his video, Lamont identified it as something that could possibly be bigfoot. He captured the video two years ago but only recently released the intriguing "bigfoot" footage, according to the U.K. Daily Mail. What do you think? Is it bigfoot? Is it a hoax? Or is it simply an unidentified walking figure? Lamont, who says he uploaded the bigfoot video for the benefit of a couple of friends, didn’t expect the attention his post has generated, or so he claims. 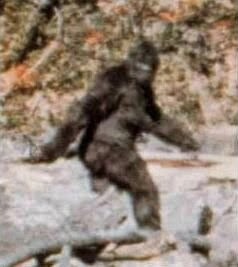 Bigfoot, or an image purporting to be bigfoot. 2) The subject was clearly bipedal and was without snowshoes or a backpack and wearing all one-colored clothing. Movement over this kind of terrain in soft snow without snowshoes would have been very difficult and the distance traveled over the given time period would have been very fast for a human without proper snow travel gear. So, is it bigfoot? Or just a black dot superimposed on a video? Haha, I'm gunna have to go with: fake. Why would the Big Foot be all the way out in the middle of nowhere? He's gotta eat too. And I'm sure snow isn't gunna cut it.